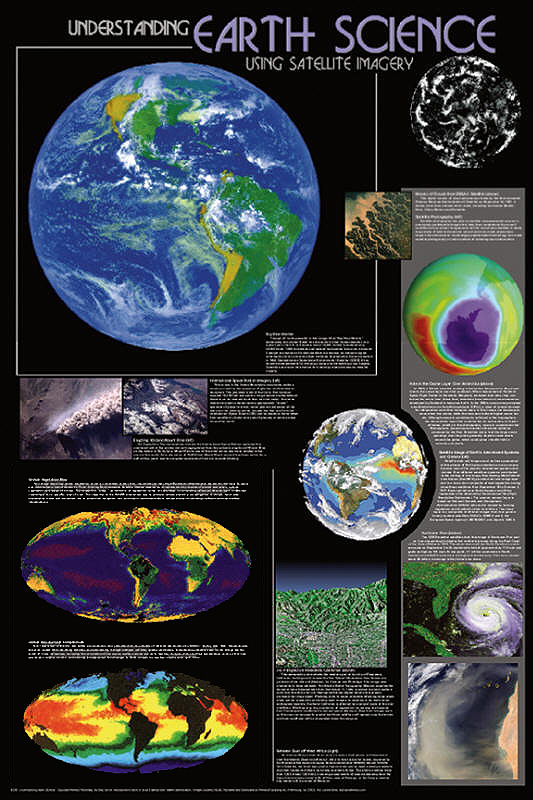 Earth Science through space images. This poster shows the many ways that our nation has benefited from NASA research. Satellites have given us a whole new perspective on our planet. The topics include mapping terrain, charting global weather systems, analyzing ocean currents, and hurricane tracking. Highly detailed photographs are accompanied by fascinating and informative text.